The curator this month is Lisa Hoffman, the Founder and CEO of Lisa Hoffman Beauty. Her top pick this month is one from her own brand! I can’t promise the size of the products, as there are always some full-size and some deluxe samples, but I did manage to find everything out here. Anyway, let’s get to the good stuff! First up, we have REN Hydra-Calm Global Protection Day Cream, which is a calming daily moisturizer that fights against free radicals (full size worth $55). Here is Murad Active Radiance Serum, a potent vitamin C serum that instantly boosts radiance and stimulates rejuvenation (full size worth $89). 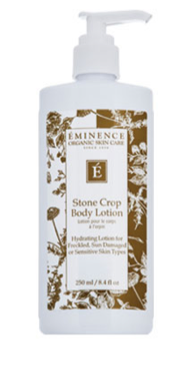 Here we have Eminence Stone Crop Body Lotion, a lotion which moisturizes as it lightens age spots and evens out skin tone (full size worth $32). NEOVA Make Up Remover Face and Eyes gently and thoroughly dissolves makeup—even waterproof mascara (full size worth $18). 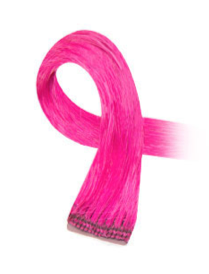 1 out of 5 possible colors will be chosen of this Sultra Hair Palette Clip-In Color Hair Extension. I actually have many of these, and am hoping I get a good color like pink or purple. If it’s human hair and actually curls/straightens with an iron that would be extra stars! 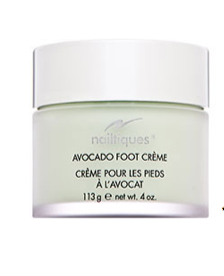 NAILTIQUES Avocado Foot Creme, is a cute jar of foot cream to help keeps your tootsies smooth, soft and safe during the harsh winter cold (full size worth $15). 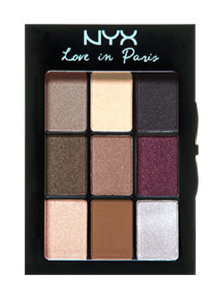 NYX Love in Paris Eye Shadow Palette is a palette of 9 assorted eye shadow shades to transform your eyes from drab to dazzling! The one above is only one of the possible options as there are 5 different colored palettes (full size worth $10). Finally, we have NEOSTRATA Skin Active Exfoliating Wash, a cleanser that exfoliates, hydrates and calms skin (full size worth $35). 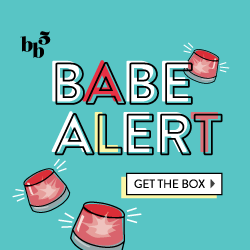 All in all… here are my thoughts on the December Blush Mystery Box: While I love getting new facial exfoliating products and cleansers, I am overwhelmed with these day lotions/daily moisturizers, body lotions and food creams. It’s like we get at least one each month, and it’s impossible to use up each one. I would prefer if Blush would mix it up and send out some different or unique products like facial masks, bath bombs, mascara/eyeliner, lipstick, a great brand of hydrating chapstick or lip treatment and some new and exciting hair products. Murad and NYX are great brands, however they’re just not quite picking out the products I need or use. Therefore, I have decided to cancel Blush, at least for a bit, until I feel like they’ve picked themselves up and refocused on their items. Hey, it’s my own opinion though. If you love this lot, feel free to subscribe!